Michelle is an occupational therapist with over 25 years experience supporting people of all ages with mental health problems, addictions and physical challenges in their recovery journeys. She has worked for private and public health providers in Australia and the United Kingdom, in diverse positions from therapist to clinical educator, consultant to manager. Michelle offers consultation, training and supervision and through Mudanca supports individuals and organisations to make change possible. Michelle enjoys collaborating with clients, carers, clinicians, teachers and managers to find innovative solutions to challenging problems. She has been using Motivational Interviewing in day to day practice for many years and finds it helps her and those she works with to find hope and motivation. She has been using Sensory Modulation since 2009 and is constantly excited by the way it offers simple, rapid and effective strategies which can be used alongside existing approaches to improve outcomes for people. Michelle also has a Masters of Arts Research in which she examined the role of children’s stories in managing childhood fears and promoting empowerment. 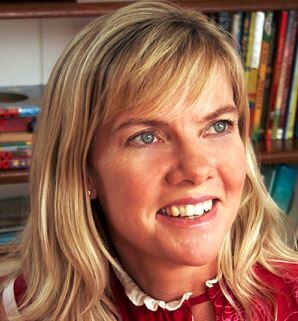 She is the author of seven books including young adult fiction and children’s poetry. She has delivered motivational talks with Hit Productions to young people in schools titled ‘Follow Your Dreams’ and is a presenter with Speakers Ink Literary Agency bringing creative writing workshops to children and teachers. Michelle is a trainer in Motivational Interviewing (MI) and Sensory Modulation for Queensland Health, Compass Seminars, consumers and carer groups, NGOs and Government departments. She lectures at University of Queensland and QUT on MI, Dual Diagnosis, Sensory Modulation and Complex Cases. Michelle developed and delivered training and resources to workers across Queensland as part of the Government's response to Ice and Methamphetamine. This included the Meth Check suite of tools and an e Learning module, Crystal Clear Workshops and Family Inclusive Practice in AOD workshops. Michelle lead the introduction of smoking cessation initiatives and associated Motivational Interviewing training for staff and clients across Metro North Mental Health. Michelle has consulted and delivered training in Sensory Modulation to Mental Illness Fellowship, Queensland Alliance for Mental Health, Queensland Program of Assistance to Survivors of Torture and Trauma, Occupational Therapy Australia. She was Chair of the Mental Health Occupational Therapy Sensory Approaches Clinical Collaborative for Queensland which provides consultation on evidence-based practice in the use of sensory approaches in mental health. Michelle was consultant to Queensland Alliance to develop a training package using sensory approaches to build resilience and coping skills in people affected by disasters. She is Principal Investigator and Content Expert to the Queensland Centre for Mental Health Learning (QCMHL) Sensory Approaches in Mental Health E Learning Module released in 2014, and for the associated research between Metro North Mental Health, QCMHL and University of Queensland School of Health and Rehabilitation Science to evaluate attitudes, confidence, knowledge and practice as a result of completing the E Learning Module. She has lead the development of a Clinical Capability Framework for Sensory Modulation for Queensland Health. Michelle lead the introduction of Sensory Modulation to Metro North Mental Health Services, inpatient and community.